What I won was a Remington Silk Waving Wand and finally after weeks and weeks of it sitting in it's pretty box I have got the play with it! As I've been trying to grow my hair for the past couple of years I'm not one to use heat on it regularly and things like curling and styling my hair I only do when I'm going out somewhere and occasionally on my days off! 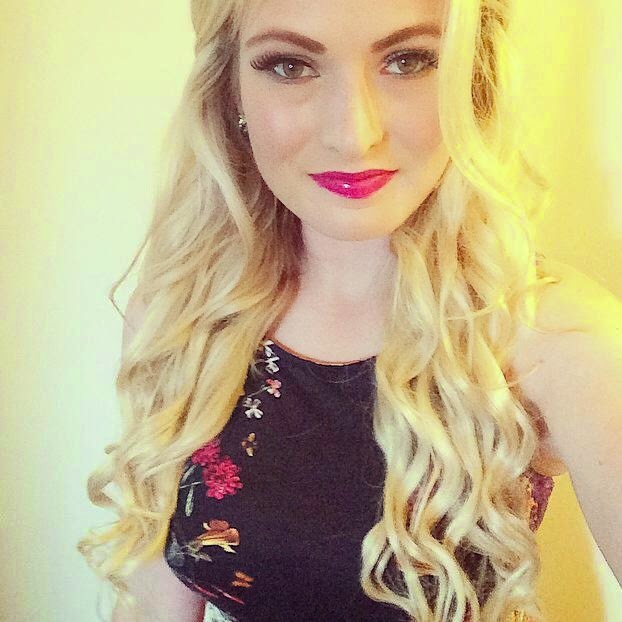 Last week I went to a wedding reception so I thought it was the perfect time to get my extensions in and try it out! I love the digital display and the fact you can change the temperature settings for it- I never like to have it on the highest heat (which on here is 220c), it's pointless or me, my hair will stay put even at a lower setting, plus it's less damaging. To do my whole head (with my extensions in... which is alot of hair) it probably only took me around 20 minutes or so and that was with alot of sections! The barrell itself feels smooth, alot smoother on my hair than my babyliss one. It's easy to use, I just grab a section of hair about 2/3inches wide , hold the wand upsidedown and wrap the hair around it away from my face! Easy peasy lemon squeazy! Here's a picture of the results! I'm looking forward to using this with just my natural hair too, I sometimes get bored of wearing extensions everytime I go out! Have any of you tried out a waving wand?